The big news this week in entertainment has been the recent return-from-the-dead (not really) of Tupac “2Pac” Shakur at the Coachella Music Festival, thanks to some very interesting technological means and methods. 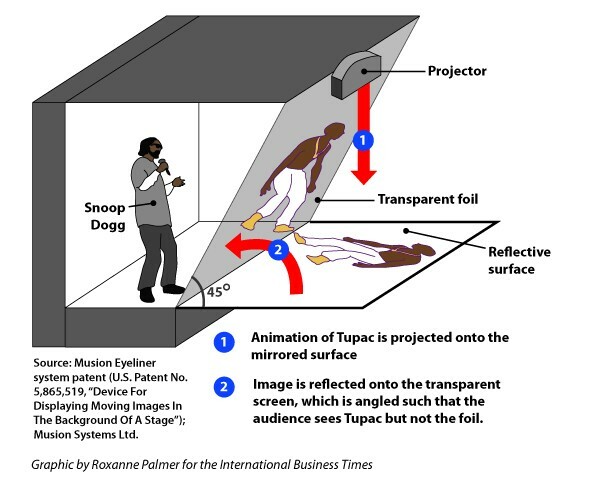 It was instantly (and incorrectly) described as a “hologram,” although it was technically based on the usage of a projector that sent a 2D animated Tupac onto a reflective surface, that then reflected back to an invisible (to the audience) transparent foil screen to make him look 3D. 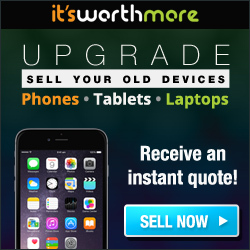 Check out the picture below for more simplified details. I have to admit, this was very awesome to “watch” 2Pac perform “live” through this, mainly because I never had the opportunity to do so when he was alive. I can only image how this presentation method can be further used in entertainment, maybe even lectures and/or other things. Imagine being able to go see The Who in concert, and there’s a part of the concert where Keith Moon is playing the drums during a song, or a physics lecture at a university or civic center from Albert Einstein! Oh my goodness, ideas, IDEAS, IDEEEEASSSS!!!! Previous Previous post: Sony Announces “God of War: Ascension” for Spring 2013!